Pope Francis perhaps puzzles prolifers. For decades, the Catholic Church supported the pro-life movement both institutionally and philosophically. Francis, however, adopted a critical posture, complaining of Catholics’ “obsession” with abortion. Prolifers have often reacted with dismay or resentment at the apparent betrayal; pro-choicers have often welcomed Francis as an unexpected ally. We’re both wrong: Francis serves the pro-life cause by calling our attention to the deepest roots of our humanity and civilization. 100. I regret that ideologies lead us at times to two harmful errors. On the one hand, there is the error of those Christians who separate these Gospel demands from their personal relationship with the Lord, from their interior union with him, from openness to his grace. . . .
102. We often hear it said that, with respect to relativism and the flaws of our present world, the situation of migrants, for example, is a lesser issue. Some Catholics consider it a secondary issue compared to the “grave” bioethical questions. That a politician looking for votes might say such a thing is understandable, but not a Christian, for whom the only proper attitude is to stand in the shoes of those brothers and sisters of ours who risk their lives to offer a future to their children. . . . 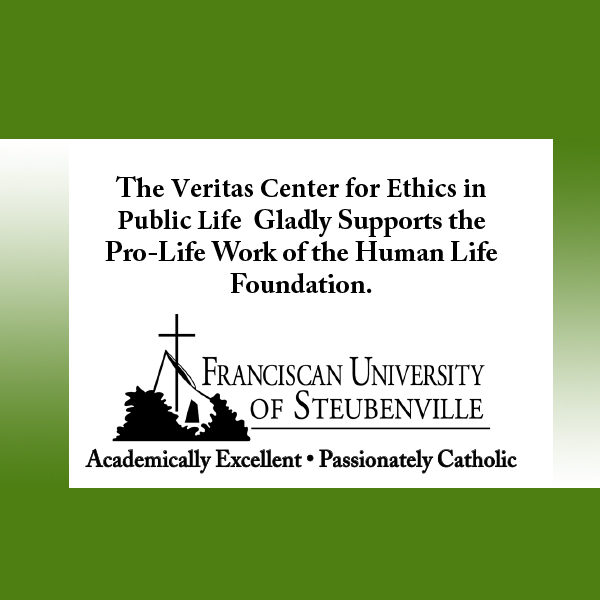 Abortion promoters among the participants seized on the notion that the poor and migrants are not secondary to the unborn, and the insinuation that bioethical priorities are political rather than Christian. On these points they rightly take Francis at face value, for he is sincere. At the same time, they neglect the broader lesson. Francis, reinforcing stereotypes of Jesuits, writes simultaneously ironically and sincerely. Even as he gratifies pro-choicers by sincerely denouncing the self-righteousness of their opponents, he exposes them in their commission of the paragraph’s capital error: They “find suspect the social engagement of others.” They discount the pro-life movement because they find fault with the prolifers who call for the defense of the unborn in law, and the pro-choicers seem to miss the irony. But what of prolifers? How should we read Francis’ exhortation? Of course, we ought readily to renounce any self-righteousness, so readily that we needn’t take offense when others denounce it. If Francis denounces those who suspect or relativize the social engagement of others, prolifers should welcome the lesson, for the pro-life movement has no intrinsic need to oppose other aspects of social justice. Any such antagonism appears only as the fruit of political exigencies or manipulations. In my happy experience, most prolifers are not very guilty of the fault Francis ascribes to us, but to whatever degree his accusation is justified, let us repent and refine our movement. We prolifers may also be tempted to protest that migration is indeed a secondary issue. As I have argued earlier (here and here), to be pro-life is most narrowly to be against the legalization of abortion, against the perversions of law and culture that withdraw legal protections from a class of persons. At least in American jurisprudence, no similar class of persons is entirely deprived of the right to life. Moreover, though globally the number of refugees and other displaced persons now exceeds the annual number of abortions, the deaths from abortion are annual, whereas most displaced persons survive for years and decades, usually dying natural deaths. Prolifers have learned from history to beware how false moral equivalences can be used against the unborn and their right to life. But perhaps Francis evokes from us deeper reflection. Why do prolifers push for the legal protection of the unborn? Surely most of us don’t imagine a competition among races and nations, in which abortion lowers our chance of victory. On the contrary, the vast majority of prolifers likely agree with Francis that in abortion, “at stake is the dignity of a human life, which is always sacred and demands love for each person.” Saint John Paul II, rightly reckoned a hero among Catholic prolifers, also taught that love runs deeper than justice, that the ethics of social justice originate in mercy and require from it correction and completion. And the demands of love transcend political and legal boundaries. If I love, say, the Syrian refugee, then I cannot imagine I am excused from his care because of such boundaries. In this sense, persons are equally sacred, and the attendant social demands all stem from the same root—not an architecture of justice, but a humane love. So yes, our advocacy for the unborn may differ in degree or even in kind from our advocacy for the born, but on the deepest level, in both areas our ethical obligations emerge from the same love that constitutes our humanity. So be not dismayed. Promoters of abortion take Pope Francis’ bait and celebrate what they perceive to be the hypocrisy of their political opponents. When have they ever neglected to use any weapon at hand, however inconsistently or irrationally? Let the prolifer recognize that the proverbial shoe does not fit: We need take no offense at denunciations of hypocrisy, nor at attention sincerely given to other causes. Love feeds justice and brings it to fruition, and genuine love for migrants and refugees will serve the pro-life cause, even narrowly understood as legal protection for the unborn, just as surely as other efforts to shape our political and jurisprudential cultures. 384 people have visited this page. 1 have visited this page today.